Jeremy earned a B.Sc.F and a Ph.D. (Forest Economics) from the Faculty of Forestry, University of Toronto. After several years teaching at University of Toronto and working with the Ontario Ministry of Natural Resources, Dr. Williams became a full-time consultant in 1990. He has worked in every province in Canada (except PEI) as well as for the FAO and World Bank. The mix of consulting projects undertaken by Jeremy has shifted over the past decade; recent years have seen a greater emphasis on sustainable forest management, socio-economic assessment and analysis, auditing, and program review. Jeremy is a Registered Professional Forester in Ontario. Chris holds a B.Sc. and M.Sc., both in wildlife biology, and has been consulting full-time in resource management since 1986. For the last 14 years, his focus has been on the integration of ecological values and forest management. In that sphere, he has worked for all of Canada’s provinces (and two territories), in the United States, and in Central America. Chris typically takes a strong role in AVES work associated with wildlife and ecological values. 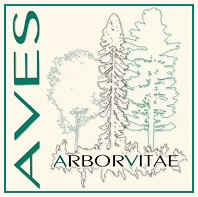 He has led large projects for AVES, involving many collaborators and subcontractors. Chris’ strengths include information synthesis, field assessments, quantitative analyses and the ability to produce clear and well-written documents. Jeremy and Chris have combined their specialties in forest management, natural resource economics, social and policy analysis, wildlife ecology, and ecosystem management to provide a broad range of analytical and applied management and scientific services. We believe the emerging model will approach the ideals of sustainable development; that corporations cannot ignore the implications of increasing global pressure on renewable resources. In the coming years companies will assume greater responsibilities for the state of the resources they manage and must work in cooperation with other resource users. Governments will continue to be important as research agencies and overseers of the public’s resources. AVES is one of the first consulting firms in Canada to have meaningful, in-house capabilities to undertake work on integrated resource management issues. The balanced perspective AVES provides, embodies the approach to resource management we promote.